Two severely disabled men who use the Independent Living Fund (ILF) today lost their bid to overturn the Government’s decision to close the ILF in June 2015, as the High Court ruled that former Minister for Disabled People Mike Penning had not breached equality laws in making the closure decision earlier this year. The two men had been granted permission for a judicial review of the process leading to Penning’s closure decision, taken just weeks after the Court of Appeal quashed a previous, almost identical decision as being unlawful. ILF provides vital support and funding to some 17,000 disabled people in the UK to enable them to live independent and fulfilling lives. To be eligible people must already receive a substantial care package from local authority social services, but ILF funding provides a top-up for those with the highest support needs. 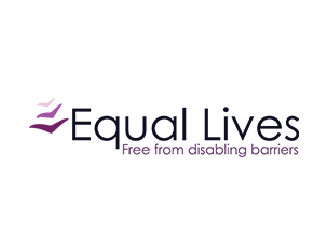 The ILF system was set up in 1988 to tackle the barriers to independent living and working faced by the most severely disabled people, which were not adequately addressed by council provision with its focus on meeting basic needs. The claimants, represented by Scott-Moncrieff & Associates and Deighton Pierce Glynn, believe that these problems with council provision remain and are getting worse under Government cuts. They fear that loss of ILF support will threaten their right to live with dignity, and they may be forced into residential care or lose their ability to participate in work and everyday activities on an equal footing with other people. As in the earlier, successful challenge, the claimants argued that the Minister had not been given adequate information to be able to properly assess the practical effect of closure on the particular needs of ILF users and their ability to live independently, or to consider alternatives. The Court of Appeal ruled that this information about impact was essential for the Minister to comply with the Equality Act, which requires the Government to act to positively advance equality of opportunity for disabled people, including meeting needs, removing disadvantages and increasing their participation in public life. However, handing down judgment today Mrs Justice Andrews ruled that a crucial difference between the two decision-making processes was that in the first, the Minister (then Esther McVey) was given an over-optimistic ‘Panglossian’ summary of information about how ILF users would be likely to be affected, whereas in the second the Minister was made fully aware of ‘the inevitable and considerable adverse effect’ that closure would have on disabled people. She concluded that the assumption on which Mr Penning based his decision was that ‘independent living might well be put seriously in peril for … most (or a substantial number of) ILF users’. In the judge’s view that meant that the Minister had clear, unambiguous information on which to weigh up the implications for disability equality, regardless of the exact number of people who would be likely to have to go into residential care or lose their ability to work or study. The judge emphasised that her decision was not about the rights or wrongs of closure, just whether the Minister knew enough about the likely impact to meet the requirements of a lawful decision-making process. The decision itself was up to him. The judge also declined to rule on whether the closure decision may put the UK in breach of its international legal obligations to advance disabled people’s rights to independent living and equality of opportunity under the United Nations Convention on the Rights of Persons with Disabilities. However there is a really significant point arising out of the decision. Essentially the legal challenge was to the process of decision-making and specifically the question of what information the Minister had available to him about the likely impact on disabled people so as to be able to properly exercise the public sector equality duty. What the judgment highlights is that, in the judge’s view, the Minister clearly believed that the impact of closure on disabled people and their ability to live independently will be really severe, and many or most ILF users will be at risk of losing their ability to work, study or live independently in the community as a result. – How can it have been justified if he thought the impact would be so severe? – What is the benefit of getting rid of this tried and tested system of protection for those people who are most at risk of losing their independence? There has never been any suggestion that it will save money overall – indeed there is evidence that it may cost far more than it saves because of (a) the false economies of people losing good support then getting into crisis and being institutionalised, (b) the ILF system being such good value for money (extremely low running costs as it uses trustees) and (c) the double benefit of the ILF system which not only provides a funding top-up but (crucially) puts leverage on local authorities to put their contribution towards proper independent support packages instead of institutional care. 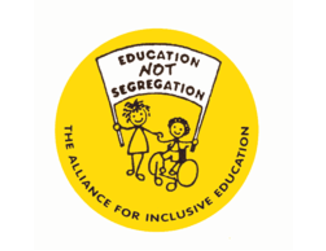 – How can this decision to cause such a negative impact on such a large number of the most severely disabled people in the country be squared with the need for the Government to actively advance equality of opportunity for disabled people, including meeting needs better and increasing participation in public life rather than the other way round? – Similarly how can it be squared with international obligations the UK has signed up to such as the UN Convention on the Rights of Persons with Disabilities (UNCRPD), which stipulates that contracting states must move forwards not back in realising rights such as that under Article 19 – the right to live independently in the community with choices equal to others. The ILF is a body of the Department of Work and Pensions but under the management of independent trustees. Since it was created in 1988 it has helped many thousands of disabled people to live independent lives and be included in the community as full citizens. 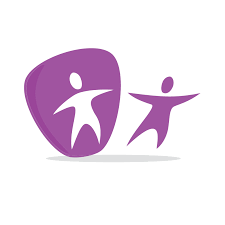 It has targeted support at the most severely disabled people in the UK who face the greatest barriers to independent living, and has also played a key role in overseeing social services provision from local authorities for this group of people, to ensure that the combined ILF/local authority support packages meet criteria of promoting independence and inclusion and avoid unnecessary escalation of costs through people being institutionalised and cut off from their communities. In 2010 the Fund was closed to new applicants because the Government had reduced the amount of money it gave to the Fund. It is now proposing that the Fund close completely on 30 June 2015, leaving users to rely solely on local authority adult care services. 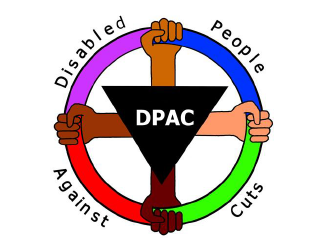 This is at a time when the funding for local authorities is being dramatically reduced and many authorities are cutting services for disabled people. The Health and Social Care Information Centre states that the total number of people receiving social care services in 2012-13 was 1.3m, down 9% from 2011-12 and down 25% from 2007-08 (HSCIC, Community Care Statistics, Social Services Activity: England 2012-13, Provisional Release, 2013). This is the expected result of the targeting of cuts at local authority funding which will continue until at least 2015-16, suggesting a real-terms cut of nearly 50% in social care provision by that stage. Following consultation the Scottish government has announced that from 1 July 2015 it will establish a Scottish Independent Living Fund to protect the funding of the 3000+ existing ILF users in Scotland, and will build on the existing system through a £5.5 million investment which will re-open it to new users, ensuring its long-term future: https://www.gov.uk/government/news/scottish-governments-decision-on-a-scottish-independent-living-fund. The Welsh government is currently consulting on options for the future support of ILF users, including setting up a successor body as in Scotland; the consultation is open until 23 December 2014: http://wales.gov.uk/consultations/healthsocialcare/fund/?lang=en. Next articleDid Minister for Disabled People lie about closing inaccessible disabled people’s assessment centre? Did Minister for Disabled People lie about closing inaccessible disabled people’s assessment centre?